There is a huge influx of short to medium term travelers to Istanbul from all parts of the world. Many travelers, especially if they are planning on staying in Istanbul for more than a week or so search for furnished apartments for rent that makes a cheaper alternative to hotels. 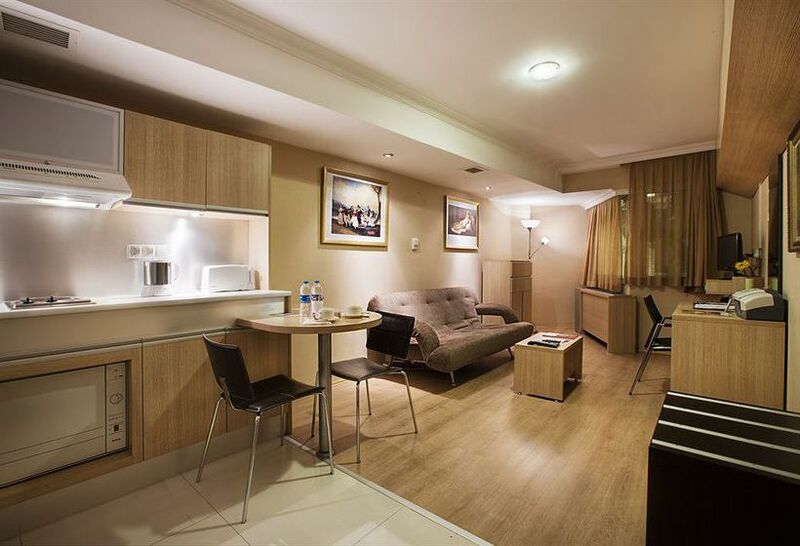 Serviced Apartments also provide more personal space than hotels. Even though the furnished rental apartment market in Istanbul is not as mature as it is in several European cities, there are many property managers that provide serviced living spaces in central neighborhoods of the city. Services usually include basic cleaning, wi-fi Internet connection and other basic stuff. Some luxury living spaces go as far as providing airport pick-up services, meeting and business centers on the premises, concierge services, etc.. It is possible to find a wide range of furnished apartments in Istanbul from cheap and clean apartments to luxury residences designed for business travelers. We will be providing a list of cheaper accommodation options in a later post, we wanted to give you an overview of apartments that might suit the needs of business travelers or short term guests with higher budgets. Marmara, actually started out as a hotel management company with their flagship hotel located right in the center of Taksim square. The group later expanded their properties to include 3 serviced apartments on the Asian side and 1 in New York. The locations in Istanbul include Suadiye, Camlica and Pendik on the Asian side of the city. The apartments are designed for the high end traveler with the Suadiye residence being located right in the middle of Bagdat Avenue, the prime shopping and entertainment district in the Asian side. The average daily rate for the Suadiye location is around 120 – 140 euros per night depending on the size of the apartments. Gallery Residence, the previous home to the British Council in Nisantasi, was converted into a hi-end serviced residence in early 2006. Another residence that is known for its efforts to combine art with living spaces, Gallery Residence named each of its rooms with names of famous painters like Van Gogh, Gustav Klimt, Goya, Monet, Gustav Klimt, Picasso, etc..The prices include a complimentary breakfast in the dining room of the hotel with a capacity of 30 guests and a gym with hydro message jacuzzi and a sauna is available for guests throughout the day. Gallery Residence is conveniently located in Nisantasi, the fashion center of Istanbul, which is full of high end cafes and restaurants which makes it ideal for travellers. The building is also only 150 meters from the Osmanbey subway station and it takes a few minutes ride to get to other central locations like Levent and Taksim. Izaz, converted to a modern living space from an old Greek house in the Beyoglu district of Istanbul, offers compact but unique living spaces for travelers. 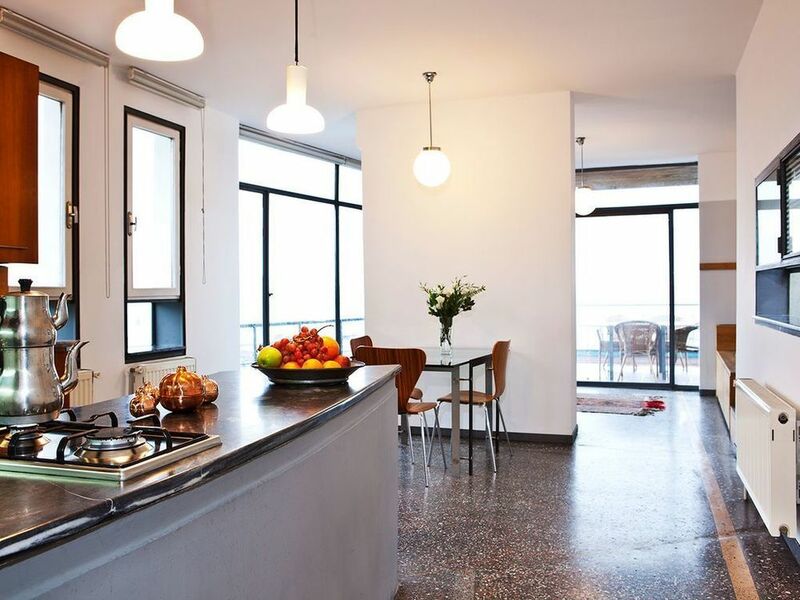 Izaz has a small number of apartments available but it is conveniently located 2 blocks away from Istiklal street, the pedestrian street in Beyoglu full of cafes, restaurants, art galleries, theaters, etc..
of the modern with a taste of the old. The price range for apartments start as low as 50 euros and goes up to around 160 euros depending on the size, location and amenities of the premises. Manzara, literally meaning “view” in English, is not only the name of the management company but a real concept that is practiced by offering some apartments with really killer Bosporus views. Manzara office is really helpful and can accommodate requests from their guests to lend a local hand in case it is needed during your stay. Global Residence Istanbul is another serviced apartment alternative if you will be staying in the Asian part of the city. There are a total of 57 apartments that are designed in various concepts and there is a sauna, a restaurant, reception are and a sports center on the premises. Noa also provides a variety short term rental opportunities starting from short term. Noa’s properties are conveniently located and it is worth a look especially if you are searching for long term rentals furnished or unfurnished. Istanbul Turkey Apartments, Proudly powered by WordPress.